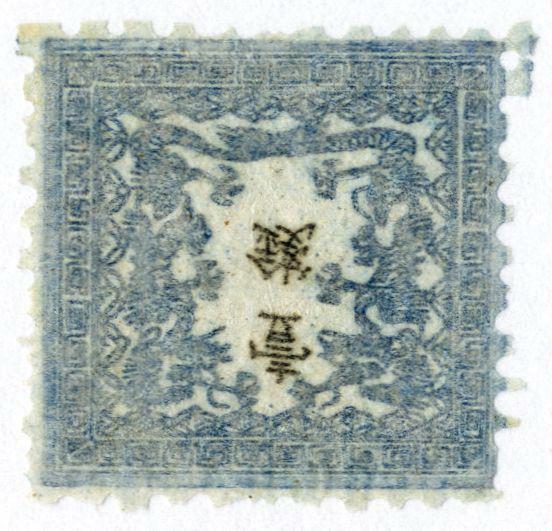 1872: 1 s. blue on brittle laid paper, plate II, pos. 23, faultless perf. 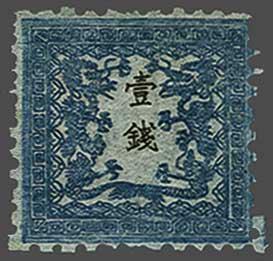 with centering over average for this issue showing the intact frame line on three sides, unused without gum. 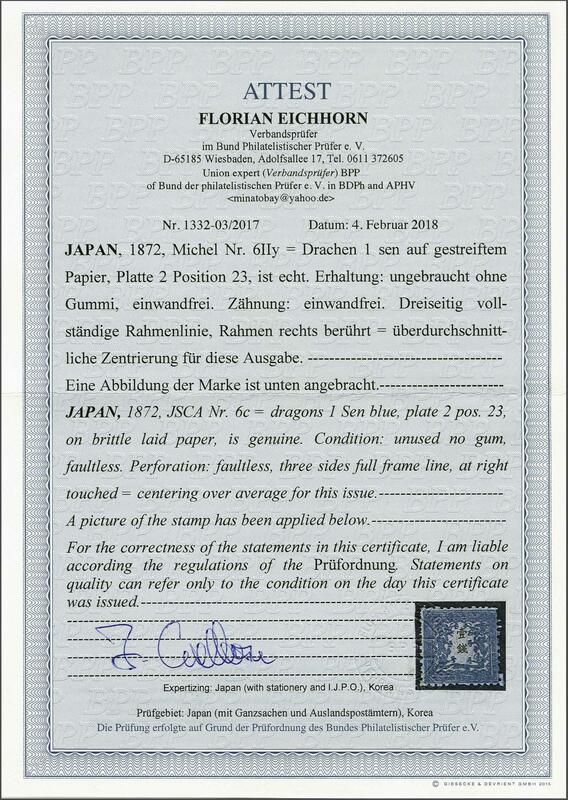 A fine and fresh stamp, cert. Eichhorn BPP (2018) Scott = $ 425/Gi 19 = £ 325.